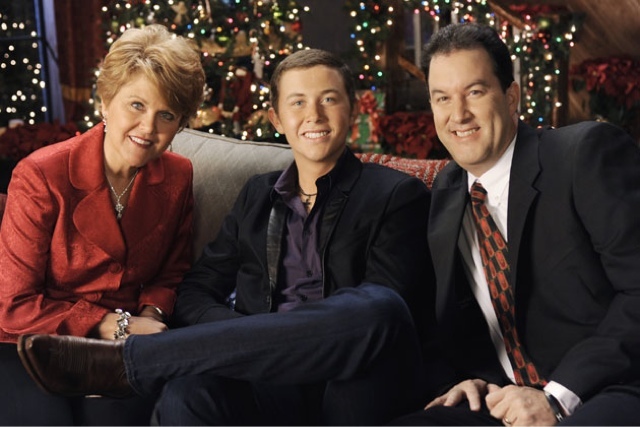 During his ‘American Idol’ run, Scotty McCreery‘s mom was by his side with support and advice the entire time. At the time, McCreery was only 17-years-old, so Judy McCreery put her own career on hold to make sure her only son was as comfortable and safe as possible in Los Angeles. Here they are shown with Mike McCreery at the CMA Country Christmas special, which aired in 2011. Judy worked for a real estate company and owned a tanning salon in nearby Clayton, N.C. These days, she spends more and more time with Scotty as he tours with Brad Paisley.